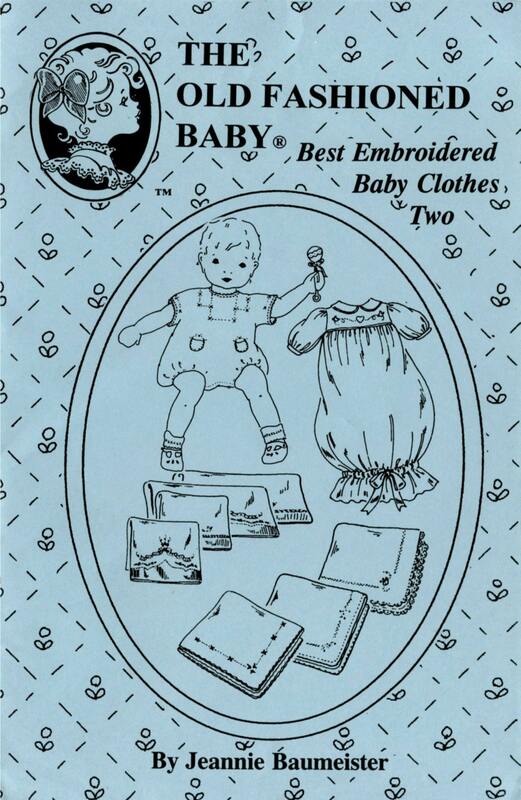 Best Embroidered Baby Clothes Package 2 includes Baby Linens and is a collection of patterns that are especially suited for embroidery. THE ONE PIECE ROMPER (fashioned after a 1920's garment) is very comfortable with cap sleeves and dainty embroidered pockets. It's cute and quick to sew! BABY'S LONG NIGHTGOWN is elegant, trimmed with piping and embellished with shadow embroidery. The bottom can be closed with ribbon. 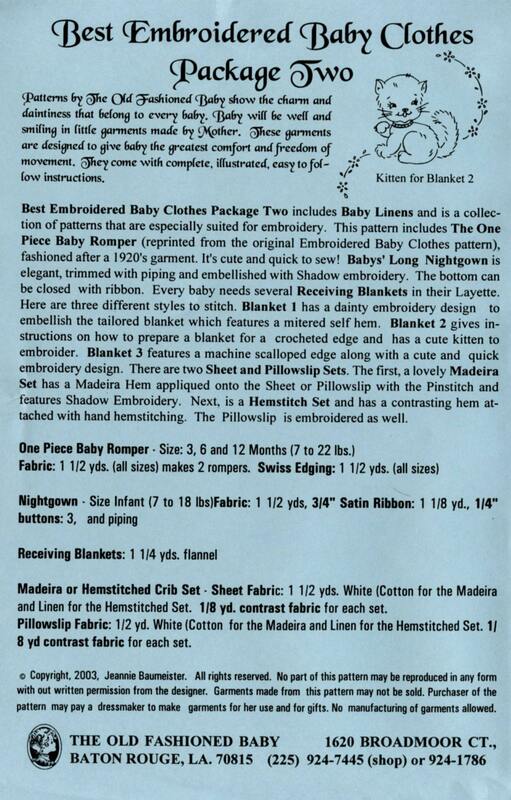 RECEIVING BLANKETS are essentials in baby's layette. Here are 3 different styles to stitch. BLANKET 1 has a dainty embroidery design to embellish the tailored blanket which features a mitered self hem. 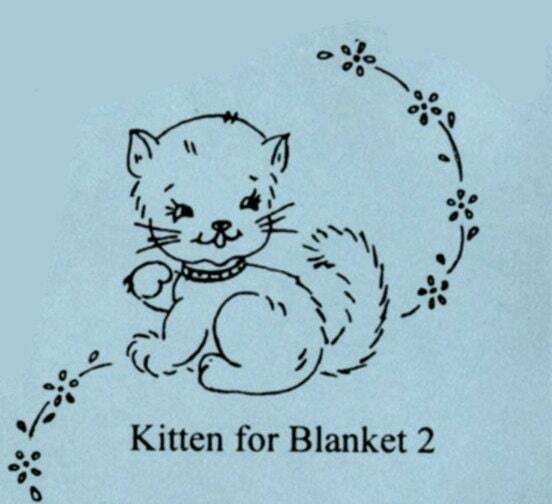 BLANKET 2 gives instructions on how to prepare a blanket for a crocheted edge and has a cute kitten to embroider. BLANKET 3 features a machine scalloped edge along with a cute and quick embroidery design. SHEET SET 1 has a Madeira Hem appliquéd onto the sheet or pillowslip with the Pinstitch and features Shadow embroidery.